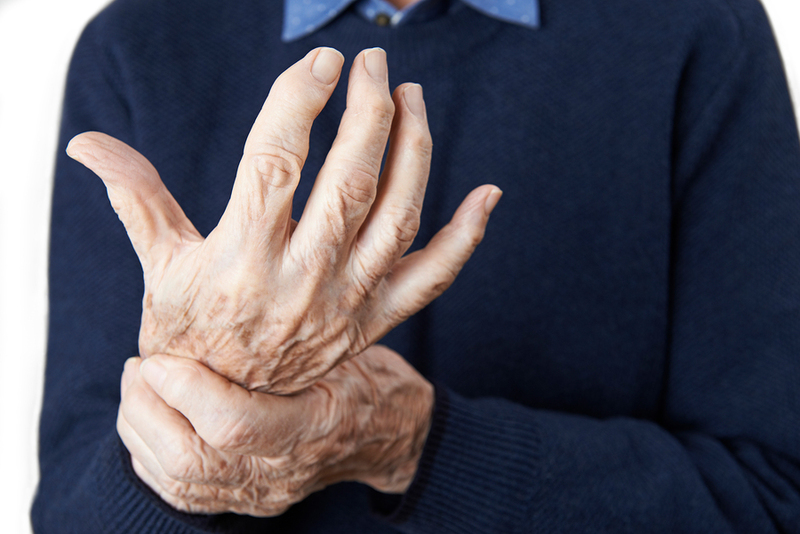 Arthritis is a painful and disabling condition that affects the lives of more than 20 million Americans. Whether it is osteoarthritis or rheumatoid arthritis, the symptoms can seriously disturb a patient’s daily functions and activities. The signs normally include swelling, stiffness, joint pain, and even redness of the skin surrounding the joint affected. Arthritis can involve multiple joints and this triggers intense pain that makes movement difficult. In some cases, the condition can lead to deformity. The goal of arthritis treatment is to reduce the inflammation and the level of pain to enable the restoration of joint function as well as to increase the range of movement. . Conventional treatments typically include the oral administration of pain medications such as analgesics, nonsteroidal anti-inflammatory drugs (NSAIDs), and the topical application of menthol creams to hinder the transmission of pain signals. For cases that are severe, surgery such as joint fusion or hip replacement are performed. But these options are resorted to only when the other alternatives have failed. Physical therapy, which is designed to strengthen the muscles surrounding the joints is also a key component in the treatment of arthritis. There are natural remedies, however, that do not require extensive medication. The best thing about home remedies is that they involve the use of natural, organic ingredients that do not cause any side effects. These are safe, convenient, and offer pain relief that can help to improve the condition of the joints and even the overall health of arthritis sufferers. Other natural alternatives involve lifestyle changes such as introducing new diets, excluding certain food that cause or aggravate inflammation, managing weight, observing regular exercise, and trying therapies such as massage and acupuncture. This doesn’t mean that patients should forego medical treatments altogether. However, combining both approaches and experimenting with natural treatments can be beneficial for their health in the long run. 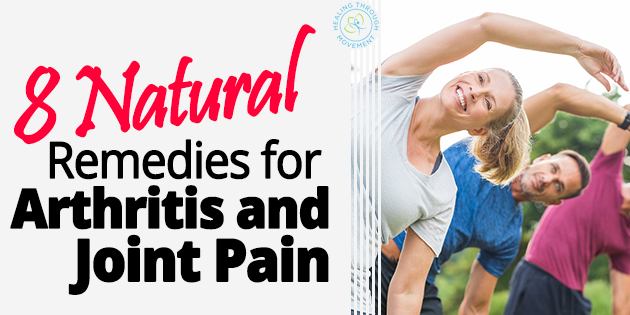 They will soon find that natural remedies are some of the most helpful means that relieve the discomfort and pain caused by arthritis symptoms. Excess body fats can exert unnecessary pressure on the joints. They also trigger the release of hormones and chemicals that cause inflammation. Thus, excess weight and fats can aggravate existing joint pain or arthritic conditions. It has been observed that people who are overweight have increased risk of arthritis and experience joint pain even in their hands due to high fat storages. People who suffer from arthritis can benefit from maintaining an ideal weight and body mass index. Shedding off the extra fat lessens the pressure on the knees and the joints which will reduce the occurrence of the symptoms including swelling and pain. Losing even just 10 to 20 lbs. can help to diminish the discomfort and pain associated with arthritis. Arthritis patients are often reluctant to engage in physical activities because of the pain and swelling in their knees or joints. But performing the appropriate exercises regularly can improve their conditions. 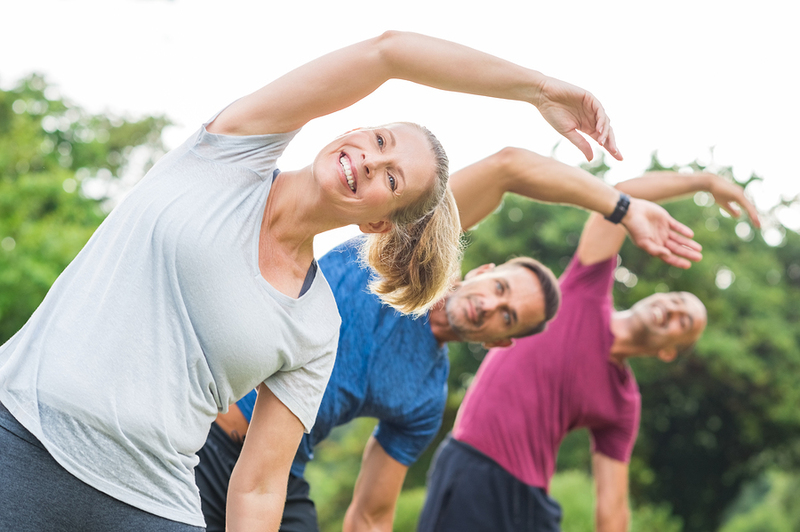 Physical activity is actually beneficial for joint health and can strengthen the muscles surrounding the affected joint to reduce the impact of inflammation. The exercises that are recommended for arthritis patients include aerobic and strengthening exercises. Brisk walking, jogging, cycling, swimming, stretching, body weight exercises, resistance training, or using the elliptical machine can be beneficial for them. Swimming, in particular, has been found to help people with arthritis because working out in the water can enhance knee and hip flexibility, strength, endurance, and aerobic performance. It also helps to lessen the impact on the joints which results in better joint function. Arthritis patients should aim for at least 150 minutes of moderate intensity exercises or 75 minutes of high intensity activities per week. 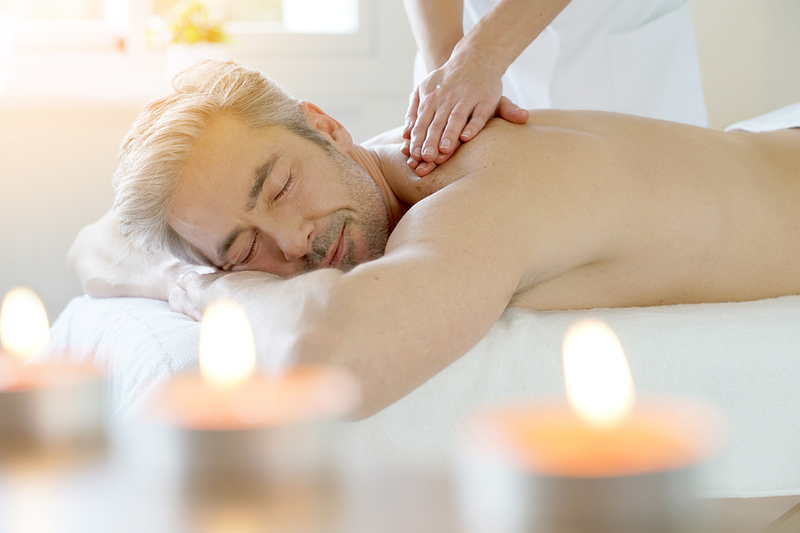 Some patients have found that chiropractors are able to help relieve some of their symptoms by using a variety of approaches that include acupuncture, spinal manipulation, massage therapy, and relaxation techniques that are designed to control pain and reduce inflammation. Acupuncture has been used in Chinese traditional medical practices for centuries and it is known to relieve chronic pain by redirecting the body’s energies and restoring natural balance. A number of medical universities recommend acupuncture as a natural remedy for the treatment of lower back pain, osteoarthritis, joint pain, and bone pain. Those who wish to try this treatment may search for reliable acupuncturists and chiropractic clinics near them. The Arthritis Foundation suggests that getting regular massage can aid in reducing pain, stiffness, and joint inflammation. Working with a physical therapist or a massage therapist who is experienced in handling patients with arthritis may be a good alternative for some patients. Using mustard oil as a natural massage liniment has also been said to be helpful. Its compounds stimulate blood flow to reduce inflammation of the affected joints. Applying hot and cold packs alternately can provide immediate relief for joint pain. Heating pads, hot packs, and warm electric blankets can reduce stiffness while ice packs relieve pain. To apply this remedy, press a hot pack or therapeutic gel pack on the affected area and leave for about 15 to 20 minutes. Follow up by applying a cold ice pack or a container with ice cubes and leave for the same number of minutes. Taking alternate warm and cold showers is also a good remedy. Introducing dietary changes is also a key component in the treatment of arthritis. Certain food types are known to cause or aggravate swelling and pain while others cam combat or reduce inflammation. The best diet to adopt is one that stays clear of junk food, processed food, and those that are high in trans fat and added sugars. One study found that patients who shifted to a Mediterranean diet which consists mostly of fresh fruits, vegetables, whole grains, fish, nuts, olive oil, and herbs saw significant improvement. • Foods rich in omega-3s. Omega-3 fatty acids are known to act as powerful anti-inflammatory agents. They help to soothe pain and swelling of the joints. Some of the best sources of omega-3s are fish such as salmon, tuna, mackerel, herring, anchovies, trout, and sardines. Walnuts, chia seeds, and flax seeds are also rich in omega-3s and should be incorporated in the diet. • Foods high in antioxidants. Dark-colored fruits and vegetables are loaded with antioxidants that aid in reducing inflammation and promoting healing. Most of these food types are loaded with Vitamin A, Vitamin C, magnesium, potassium, and fiber. The ideal sources include dark green leafy vegetables, cruciferous vegetables, melons, papaya, avocado, pineapples, tomatoes, strawberries, cherries, and sweet peppers. Those that are rich in Vitamin C like citrus fruits are especially helpful because the vitamin helps to cleanse the body of free radicals that aggravate joint pain. Cherries, in particular, are beneficial for those who suffer from arthritis. Tart cherries contain high levels of magnesium, potassium, and anti-inflammatory compounds. This combination makes the fruit a powerful natural painkiller. In fact, one study showed that consuming cherries regularly can reduce inflammation by about 50 percent. Eating about 8 to 10 fresh or canned cherries a day or drinking a sweet cherry syrup can relieve the pain and inflammation associated with arthritis. Other berries such as raspberries, blueberries, and strawberries which are rich in anthocyanins are also good options. • Calcium-rich foods. Calcium is a mineral that is vital for the preservation of bone health. People who have low calcium levels are likely to develop osteoporosis at an earlier age compared to those who take calcium supplements. This risk is increased among those who also suffer from arthritis. Maintaining an adequate intake of calcium is important for the prevention of osteoporosis. While calcium supplements can be taken daily, it is still best to get calcium from food where the mineral naturally occurs. Some of the best sources or calcium include cauliflower, cabbage, kale, broccoli, turnip greens, cheese, yogurt, milk, and other dairy products. • Green tea. Some researchers have discovered that green tea has polyphenol antioxidant properties that act as natural anti-inflammatory agents that can relieve the symptoms of arthritis. In addition, green tea also contains vitamin K which is also important for the prevention of blood thinning. For the treatment of arthritis, drinking about 4 cups of green tea per day is recommended. • Turmeric. This is a deep yellow-colored spice that is often used in Asian dishes like curry. It contains curcumin which is rich in anti-inflammatory compounds. Some studies have shown that regular consumption of turmeric can reduce inflammation that triggers painful arthritis. In one investigation, it was found that patients with osteoarthritis who ate about 2 grams of turmeric powder a day experienced significant pain relief. It has also been found to be beneficial for patients who suffer from rheumatoid arthritis. Turmeric can be consumed by mixing some powder with dishes. Another option is to mix 1 teaspoon of powder in a glass of milk and to drink this daily before going to bed. • Ginger. Like turmeric, ginger is also a common ingredient that is loaded with anti-inflammatory properties. A number of studies have shown that ginger can combat pain and inflammation the same way that most NSAIDs do. This is probably because of it’s natural ability to improve blood circulation which deviates the inflammatory chemicals and stirs them away from the affected joints. To get the most benefits from this spice, take half a teaspoon of powdered ginger each day or peel a slice of fresh ginger and eat it with meals. • Olive oil. Aside from being a source of healthy fats, olive oil also contains a compound called oleocanthal which is helpful in preventing joint pain and inflammation. It mimics the effects of medications such as ibuprofen and aspirin to block the pain associated with arthritis. Olive oil can be used as a substitute for salad dressings or can be made to accompany side dishes. It is also recommended to use extra virgin olive oil instead of regular cooking oil when preparing fried or sautéed meals. Epsom salts are an ideal source of magnesium sulfate, which has proven to be effective at alleviating pain. It also helps to balance the body’s pH levels in order to counteract inflammation. A good way to use epsom salts to relieve arthritis is to mix some salt with warm water and soak for about 15 to 20 minutes. It can also be used as a warm compress and applied directly on the affected areas. Because of the high levels of magnesium in epsom salts, the compounds are easily absorbed through the skin to provide immediate relief. Capsaicin cream or ointment is an over-the-counter topical solution that is designed to provide instant relief for arthritis, joint pain, and back pain. While it may be purchased in most drug stores and health shops, it can also be whipped up by mixing some ground cayenne powder with about 3 teaspoons of olive oil. This mixture can be applied to the affected areas where pain or discomfort is felt. Initially, there will be some mild burning sensation but the skin will eventually adjust and be desensitized in a few days to a week. While there is yet no cure for arthritic conditions which can cause tremendous discomfort and pain, the symptoms can be effectively managed and reduced by using the appropriate treatment approaches. Usually, a combination of conventional and natural remedies can help a patient find the most relief. It is still recommended, however, that the physician be consulted before any of these suggestions or some other treatment is considered and initiated.